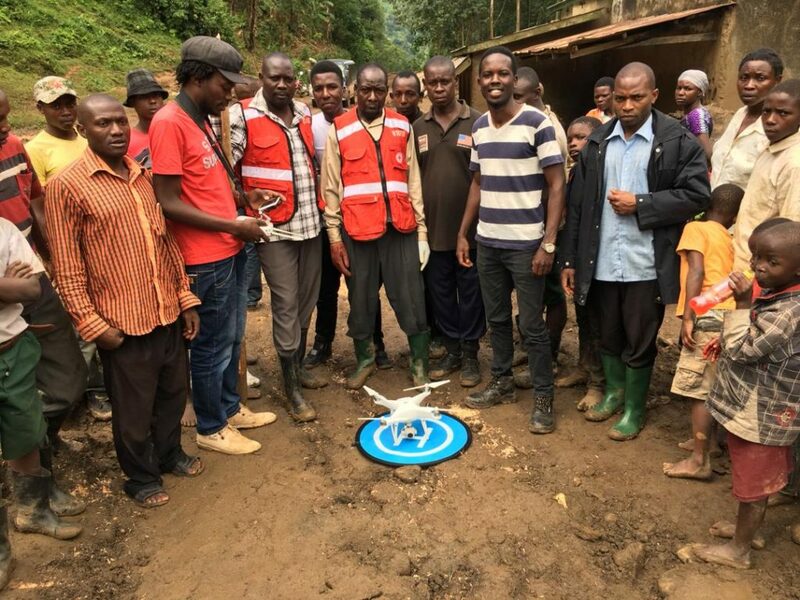 Uganda Flying Labs, supported by MapUganda and Drone Nerds Africa and in collaboration with the Uganda Red Cross Society recently launched a mission in the Bududa district to assess the damage caused by landslides in the villages of Bukalasi Sub-County through GIS and drone technology. 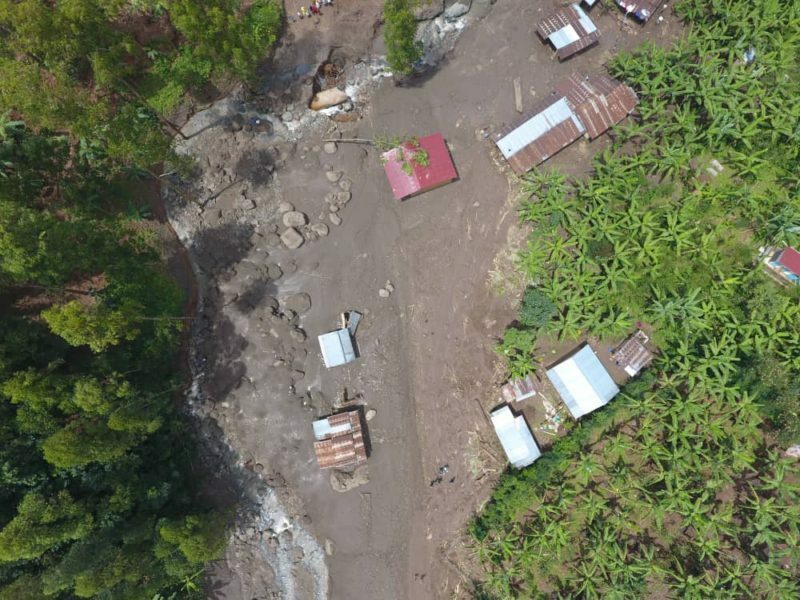 The mission also had the purpose of documenting the effects of landslides in Bukalasi Sub-County with aerial imagery and to identify other areas in the region that are highly prone to mudslide. For this particular mission, Uganda Flying Labs provided the expertise in GIS and drone technology and Uganda Red Cross provided emergency guidance and community entry. The two organisations worked collaboratively to allow for the mission to be carried out successfully. Emmanuel Adiba, GIS expert, Asaph Kasujja, senior drone pilot and his assistant Raymond from Uganda Flying Labs were equipped with a DJI Phantom 4 Pro+ drone and supporting equipment to join Uganda Red Cross disaster response team and rescue group on the ground. 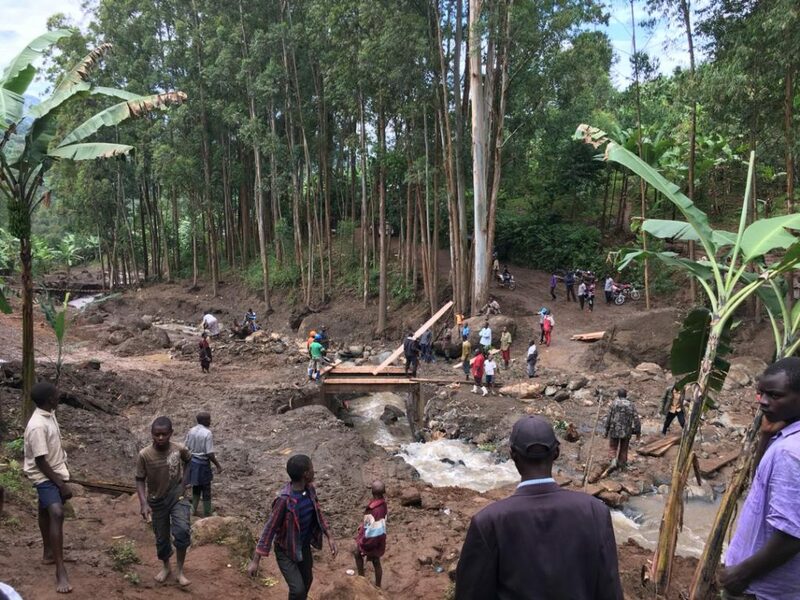 The team faced a number of challenges including limited road access to the villages due to broken bridges as well as limited flying options due to the high terrain and fallen logs in the thick forest, all while ensuring that operations were compliant with Uganda’s drone regulations. Nevertheless, the mission proved to be successful. Both affected and prone areas were mapped, images were captured and the team responded quickly to the crisis, receiving generous help from the entire drone community. The data captured will now be processed, analyzed and manipulated to produce a map that shows hot and cool zones of landslide prone areas in the Bududa district. Such crucial information will provide stakeholders with a a better perspective on the nature and magnitude of the impact, and facilitate informed decisions to solve the needs of the community. The resulting orthophoto will be uploaded to OpenAerialMap and used to set up a remote mapping tasks on the HOT tasking manager for the global OSM community to map all the features affected by the mudslide. We wish to thank to all of the organisations and government institutions that assisted us throughout the mission, including the Uganda Red Cross Society, Office of the Prime Minister, Uganda Peoples Defence Forces, Bududa Local government, HOTOSM and the Uganda Police.